BRYAN EATON/Staff photo. 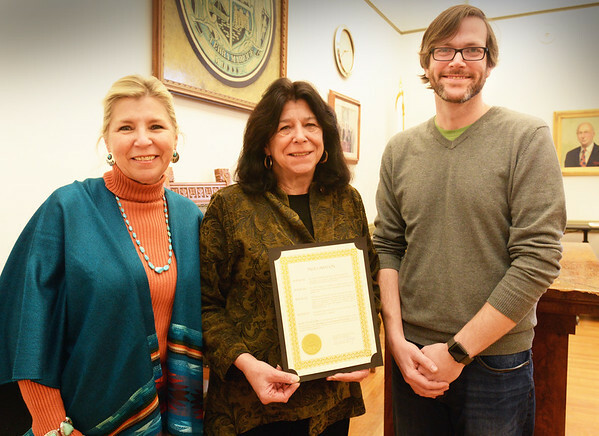 Newburyport Mayor Donna Holaday, center, presented a citation to Firehouse Center for the Arts president Lois Honegger, left, and executive director John Moynihan on Thursday afternoon. The honor was for the recent "Firehouse Thrives" day in honor of the center's original fundraising campaign's 30th anniversary.